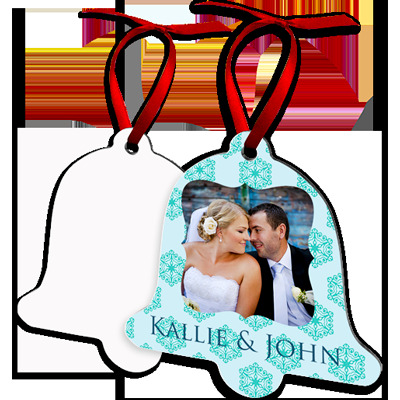 Just in time for any holiday, Unisub® Aluminum Ornaments are delightful, two sided sublimatable ornaments that add an extra design element to your artwork. Sturdy, yet light in weight, they come packed with nice red ribbons for hanging. These ornaments are not "peel coated" which make them quicker to process and reduces production time. Experiment with offering ornaments for other holidays besides Christmas; they are great for "Easter Trees", too!